The I Love the ’90s Tour will stop at Savage Arena Saturday, Aug. 20, as part of the Savage Live concert series, UT officials announced Wednesday. 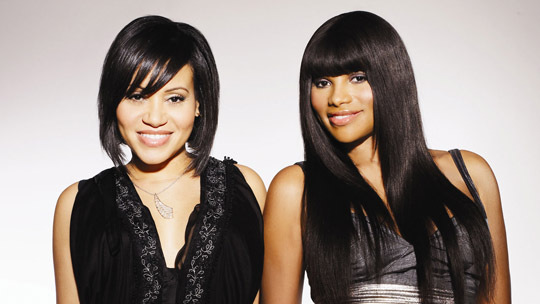 The event will be headlined by the Grammy Award-winning group Salt-N-Pepa, best known for their groundbreaking efforts as one of the first all-female rap groups and numerous hits. The lineup also will feature Vanilla Ice, Coolio, Tone Loc, Kid ’n Play, Rob Base and Young MC. Fans can count on a fun-filled evening grooving to hits such as “Push It,” “Shoop,” “Whatta Man,” “Ice, Ice Baby,” “Gansta’s Paradise,” “Wild Thing,” “Funky Cold Medina,” “Rollin’ With Kid ’n Play,” “It Takes Two,” “Joy and Pain,” “Bust A Move” and more. I Love the ’90s will be the second event in Savage Live, a multi-event concert series hosted by The University of Toledo. Savage Live will kick off Saturday, March 19, with the sold-out Rock the Arena, an eight-act rock fest headlined by Bret Michaels. I Love the ’90s will take place Saturday, Aug. 20, in Savage Arena. Doors will open at 6 p.m., and the music will begin at 7 p.m.
Current UT students can buy discount tickets for $25 at the UT Ticket Office in Savage Arena beginning Monday, Feb. 29. Tickets starting at $35 will go on sale Thursday, March 3, at UTSavageLive.com and at the UT Ticket Office in Savage Arena and by calling 419.530.4653. For more information on this and other Savage Live events, visit UTSavageLive.com or UTRockets.com. This entry was posted on Thursday, February 25th, 2016 at 3:56 am and is filed under Events, UToday .